We believe, that in a well-func­tioning society every indi­vidual has the duty to con­tribute value to the degree of his capa­bil­ities. We are aware and grateful for being part of the more priv­i­leged side of this world, and con­sider it our moral oblig­ation to take respon­si­bility for the less favored. After all, we want to give some­thing back to society. Our ambition is to create and improve social awareness of every indi­vidual and strengthen the com­munal engagement, par­tic­u­larly from com­panies. In com­parison to indi­viduals, firms are in a much more pow­erful position. Therefore they can have a much stronger pos­itive as well as neg­ative influence on society, given their cor­porate activ­ities. Hence, firms carry a sig­nif­icant burden in terms of social respon­si­bility. At Heaven Solu­tions, we under­stand the power and oblig­ation we are holding and commit our­selves to a diversity of social projects. Similar to the business sector, social projects focus on values and their greater impact. Being able to ulti­mately achieve some­thing, the coop­er­ation of various insti­tu­tions and the impli­cation of a specific project outline is nec­essary. Heaven Solu­tions therefore only sup­ports projects that guar­antee long-term success, are sus­tainable and have a pos­itive influence on society in an effi­cient way. Being able to master this, we con­tin­u­ously innovate and promote synergy. We do not only supply social projects with capital but also consult, offer ser­vices and labour as well as our per­sonal engagement. Heaven Solu­tions sup­ports “Mai Bine” Asso­ci­ation, a non-profit Romanian organ­i­sation, which aims for a sus­tainable local com­munity by imple­menting projects in a holistic approach to all three dimen­sions of sus­tainable devel­opment: the natural envi­ronment, social envi­ronment, and the eco­nomic envi­ronment. One of the most important and suc­cessful projects is REDU, developed as a social enter­prise that aims to transform into a cre­ative and edu­ca­tional way the waste in resources. Emmaus Europe is a non-profit orga­ni­zation, that brings together all the Emmaus struc­tures in Europe and is one of the four con­ti­nental regions of the Emmaus Movement (Africa, America, Asia, and Europe). Today, 303 groups in 17 European coun­tries are members of Emmaus Europe of which Heaven Solu­tions sup­ports Emmaus in Iasi, Romania. Emmaus Europe seeks to strengthen and pre­serve Emmaus’ identity in Europe with the aim of fighting all forms of exclusion being either social, racial, political, eco­nomic, reli­gious, philo­sophical, ethnic or other kinds of dis­crim­i­nation. It also tries to make sure that the rights of the poorest members of the society are recog­nised. 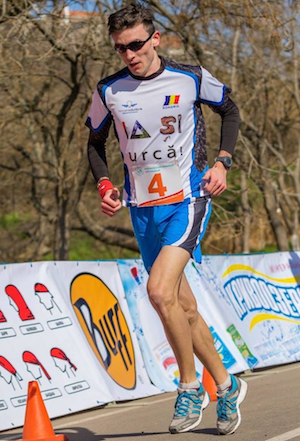 Heaven solu­tions is spon­soring “IA SI Urca”, a pro­moter of mountain sports (and not only) among people in Iasi, from running and mountain climbing to altitude climbing, ori­en­teering, mountain biking and mountain tourism. On the other hand, by his name and his actions, it also trying to promote the image of Iasi in Romania and abroad, mainly (but not exclu­sively) through amateur sport. The team sup­ports the movement in all its forms, espe­cially the movement in nature, hence the concern and envi­ron­mental health and they try to put it as small as pos­sible a foot­print on the natural and even fix harmful actions of others. Heaven Solu­tions is sup­porting CoderDojo team in Iasi, a non-profit inter­na­tional movement, which orga­nizes pro­gramming work­shops for children and ado­les­cents. Young people, between 7 and 17, learn how to code, develop web­sites, apps, pro­grams, games and explore tech­nology in an informal and cre­ative envi­ronment. In addition to learning to code attendees meet like minded people and are exposed to the pos­si­bil­ities of tech­nology.